With an amazing 2701 acres, you can explore nature’s diversity with prairie-to-peak ecosystems on 20 miles of hiking and biking trails. The Limekiln Trailhead offers parking with quick access to the trail system with restroom facilities, picnic tables, and a playground for the kids. Continue up the road and find 41 day-use, handicap accessible, picnic areas each with its own table and grill. From here, there is easy trail access and views to astound you! 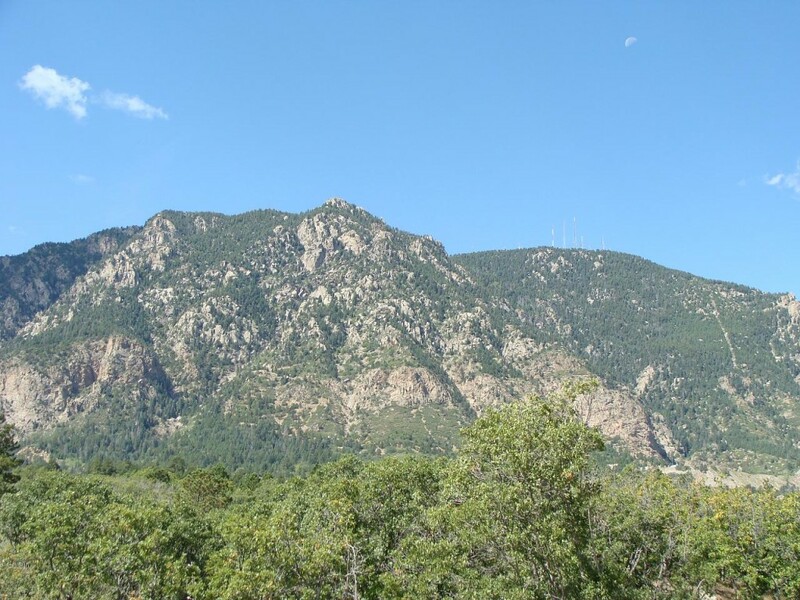 "Cheyenne Mountain 1" by Jimmy from Grand Junction, CO - Cheyenne Mountain. Licensed under CC BY-SA 2.0 via Wikimedia Commons.